Want to be notified of new releases in nhn/tui.jsdoc-template? "footerText": "My awesome footer text"
api defaults to the value API and tutorials defaults to the value Examples. styles/custom.css, styles/another.css, and remote.css get included in the layout. default.staticFiles is the build-in jsdoc way of copying extra files. If script or div elements have code-js or code-html class, expose their innerHTML. Use npm run serve or gulp serve command to ascertain realtime. 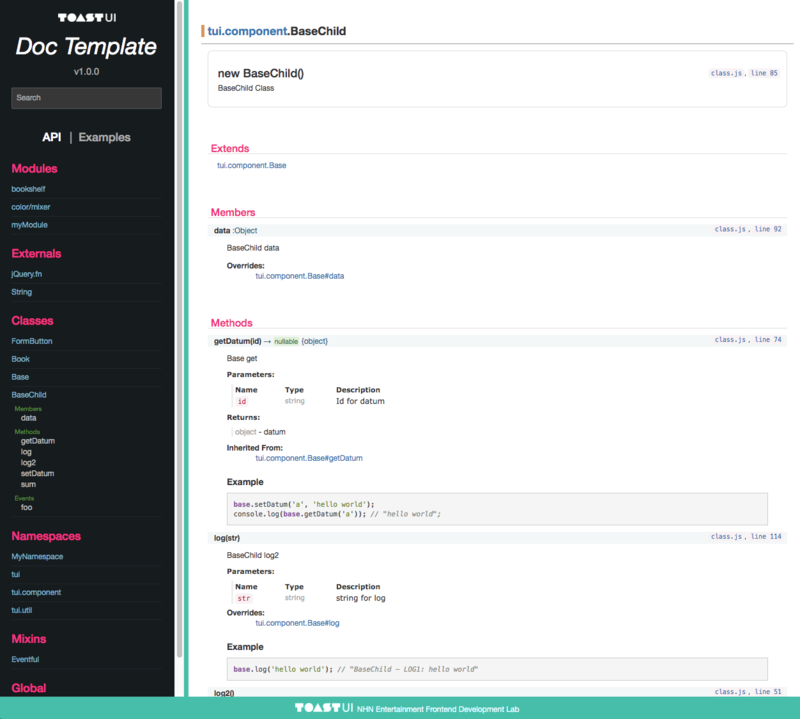 Api-Example tab, Auto-Complete and Resize functions are written in the static/scripts/tui-doc.js file.